One year ago, I became familiar with a story that broke my heart, made me angry, and reopened old wounds for many African-Americans. 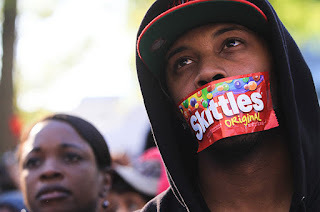 Trayvon Martin was murdered by George Zimmerman, a vigilante who decided that to be young, black and male was the equivalent of being a thug, a criminal, a menace to society. Zimmerman saw a young black male in a hood (on a rainy night) in a gated community and decided that Trayvon did not belong there. 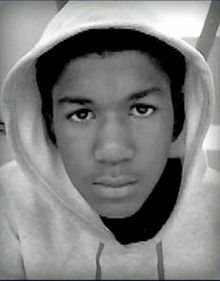 Trayvon was seventeen years old. My own son, Justin, was sixteen. Trayvon's birthday was February 5th. Justin's birthday is February 4th. 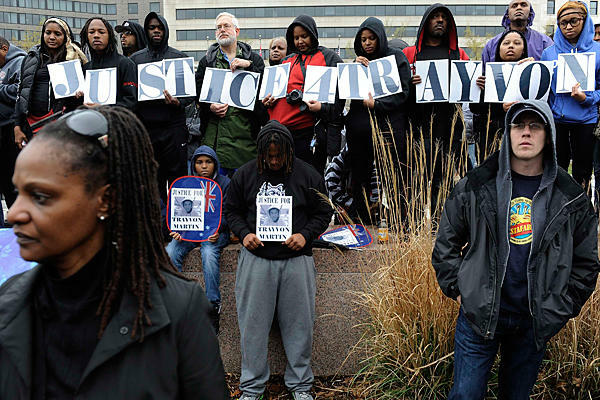 Trayvon's parents were separated, but doing their best to co-parent him. Justin's father and I are doing the same thing. 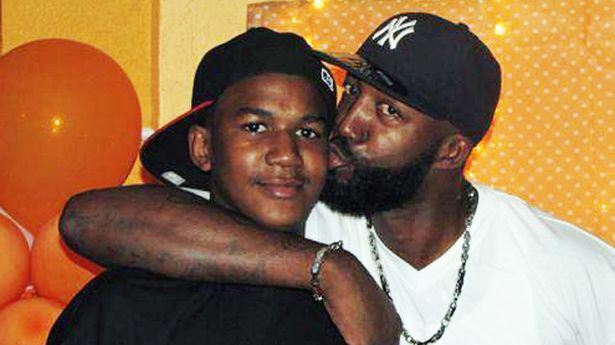 Trayvon was visiting his dad for the weekend in the gated community in which he lives. Justin's dad also lives in a gated community, and he often visits his dad for the weekend as well. Trayvon went to the store on that fateful evening to get a pack of Skittles and an Arizona Iced Tea to enjoy while he watched the NBA All Star Game. Justin, a sports fanatic, enjoys all of those things as well. 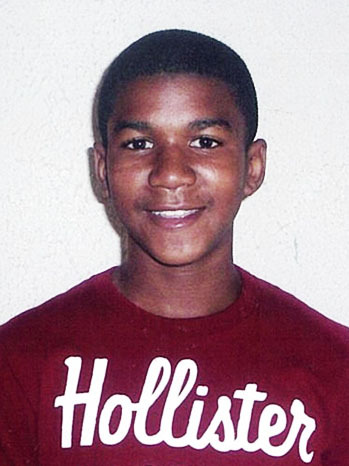 Images of Trayvon in a Hollister T-shirt and in a hoodie surfaced on the Internet. Justin, like many teenagers across the country, has a similar wardrobe. In short, Trayvon Martin could have easily been my son. To be young, black, and male has always been a challenge in this country. For centuries, black men were lynched, beaten, imprisoned, and otherwise targeted for nothing more than being born black. Many of us thought (or at least hoped) that the worst of that dark history was behind us. We convinced ourselves that at a time when America has elected its first black President, that the ugliness of racism in this country was beginning to fade. But, the Trayvon Martin case has shattered those myths. We are still living in a time when many view blacks as criminals, many still clutch their purses tighter when we approach, many make up their minds about who we are and what we're all about from the second they lay eyes on us. Trayvon was an innocent victim. Zimmerman gunned him down in cold blood. And, still, it took a national outcry just to get the authorities to arrest George Zimmerman. Only after marches and protests erupted around the country did the police finally bring charges against him. 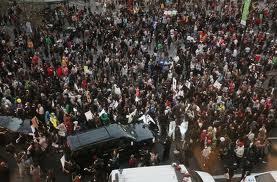 Justin and I joined those marchers in NYC's Union Square last year. 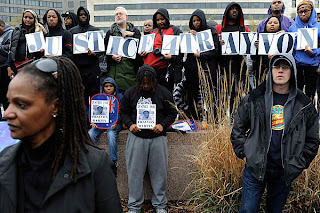 We marched along with Trayvon's parents and called out, "I AM TRAYVON MARTIN!" along with thousands of other protesters. 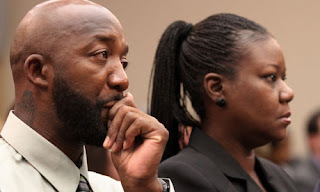 Seeing the pain in the eyes of Trayvon's parents still chokes me up. It could have easily been me and Justin's dad. It could have been many of us in their position. A year has passed. George Zimmerman has not stood trial yet. And many of us have gone back to living our lives as they were before February 26th, 2012. The case is not the top story on the news anymore. The public outcry has quieted. But, we must not forget what happened to a young, vibrant seventeen-year-old boy with his whole life ahead of him. 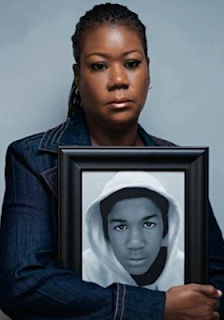 We must remember that Trayvon's parents need our prayers more than ever. The holidays will never be the same for them without their son. The NBA All Star game has a dark cloud over it for them. 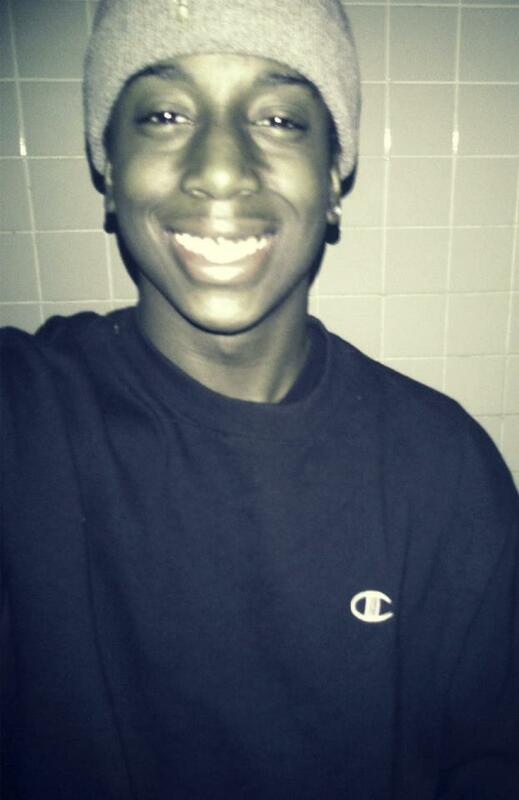 Skittles, Arizona Iced Tea, hoodies, and Hollister T-shirts are surely painful reminders of their beloved boy, gunned down for no other reason than being black, male, and walking home in the rain. Let's keep the family of Trayvon Martin in our thoughts and prayers, and let's continue to call out for justice in this case. The media hype about this case may have died down. But for those of us who identify with the family's pain, and who know perils of racial profiling, there is so much more to be done. No more parents should have to bury their children because some coward with a gun decided that they were unworthy of being present. 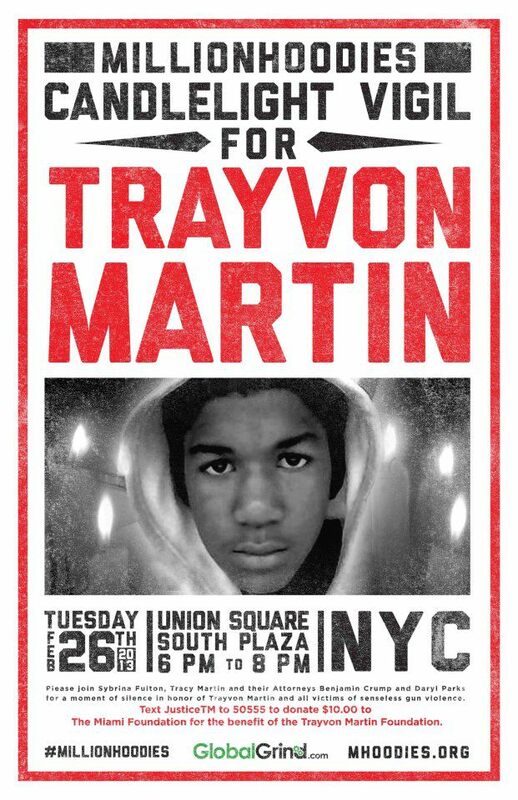 For those of you in NYC, a candlelight vigil is being held in Union Square tonight, in memory of Trayvon Martin.